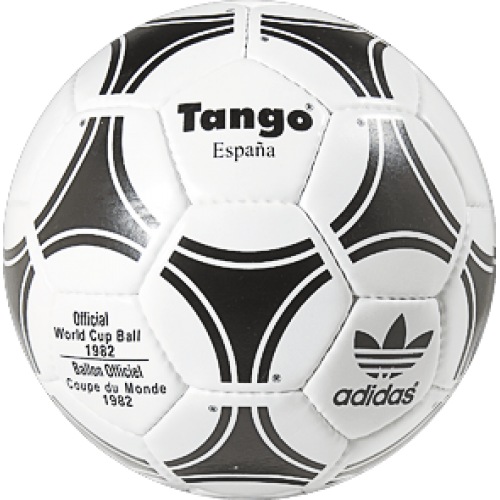 Tango España for the World Cup - 1982 in Spain was the first ball made of genuine leather and a mixture of synthetic materials. In the ball was a special polyurethane coating as a water-repellent member. Azteca - the first ball, made entirely of synthetic material. 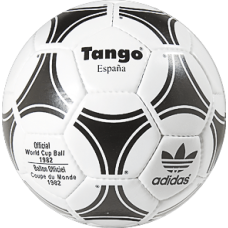 Triad used in the design of the ball, ..
For the World Cup - 1978 Tango ball was created, which is to the authors should display elegance, dy.. Tango Europa - the first ball, specially released for the European Championship. His side is decorat..